Unleashing the untapped potential of Zambia's brightest entrepreneurs. BongoHive is Zambia’s first technology and innovation hub. Established in May 2011 and based in Lusaka, the goal was to unleash the untapped potential of young people through entrepreneurship. From 2011, we sought to address the gaps within the local technology industry leading to a lack of coordination, skills exposure and productivity. 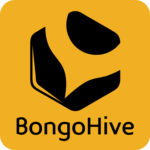 BongoHive has evolved to assist scalable startups of any background by enhancing skills, accelerating growth, strengthening networks, increasing collaboration, providing a forum for ideas exchange and reducing the barriers to entrepreneurship.